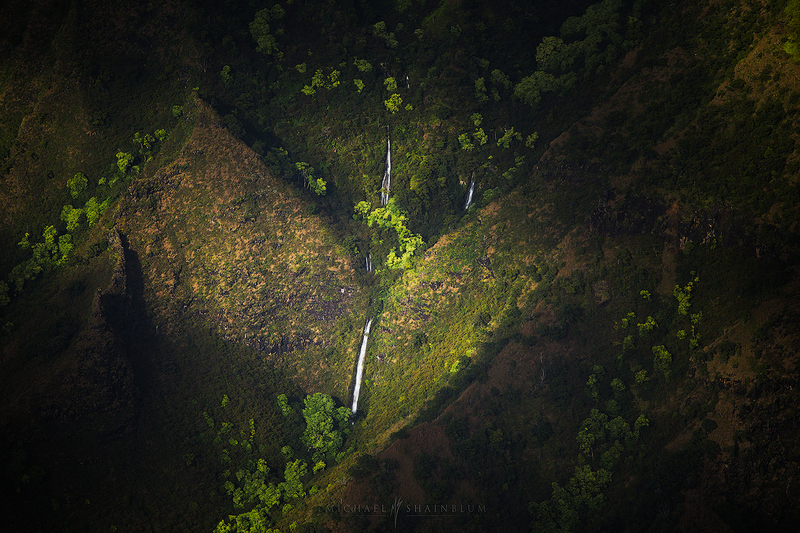 Kauai was a truly amazing place, full of really photogenic locations and diverse landscapes. Shooting timelapse photography here was a really incredible experience. 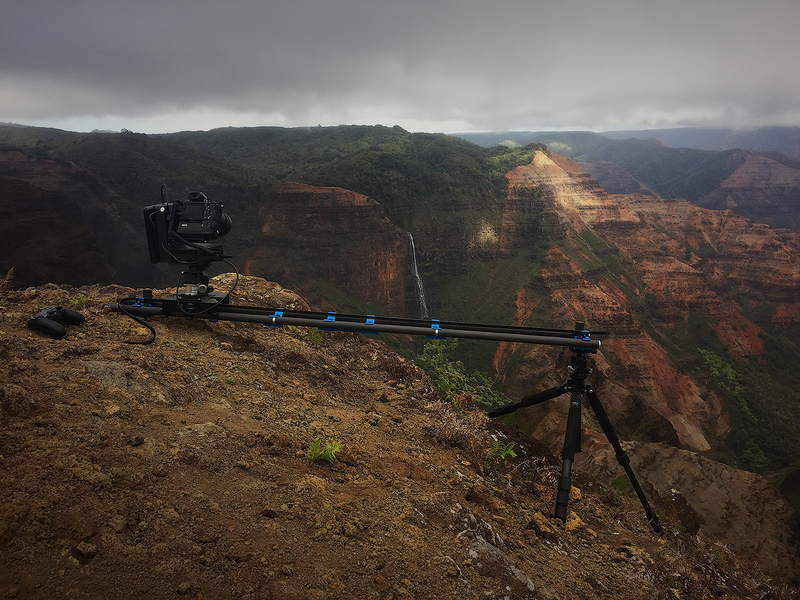 Here are some behind the scenes photographs from my trip and some timelapse stills. 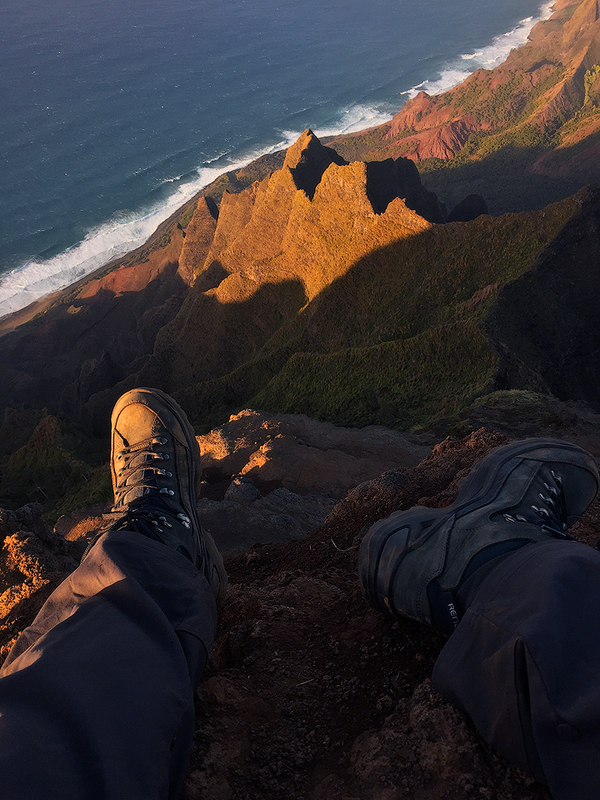 One of my favorite locations from the trip was the beautiful Kalalau Valley overlook trails. I spent multiple days scouting and exploring the trails looking for interesting compositions and hoping for some interesting lighting. The constant clouds rolling over made for some really interesting light play on these three waterfalls in the right image. The left image is of my Dynamic Perception Stage One slider with the Emotimo Spectrum capturing the 3 axis move featured at 2:08 in the film. This ended up becoming my favorite scene from the video. It was one of the more difficult shots to set up and on either side of the tripod was a sheer drop down into the valley. Further down the trail were some amazing views of the green spires. I was really lucky to catch the sun blazing on the peaks during sunset. The photo to the left was snapped with my IPhone after setting up the timelapse at 1:31 in the film. The image on the right is actually another one of my favorite scenes in the film 2:21. I had tried shooting this scene three times. But each time I tried the clouds ended up dappling the light too much during sunset. What I really wanted was a constant fade of vivid light into darkness. I was lucky to catch a really nice, unobscured sunset on the last day of my trip. 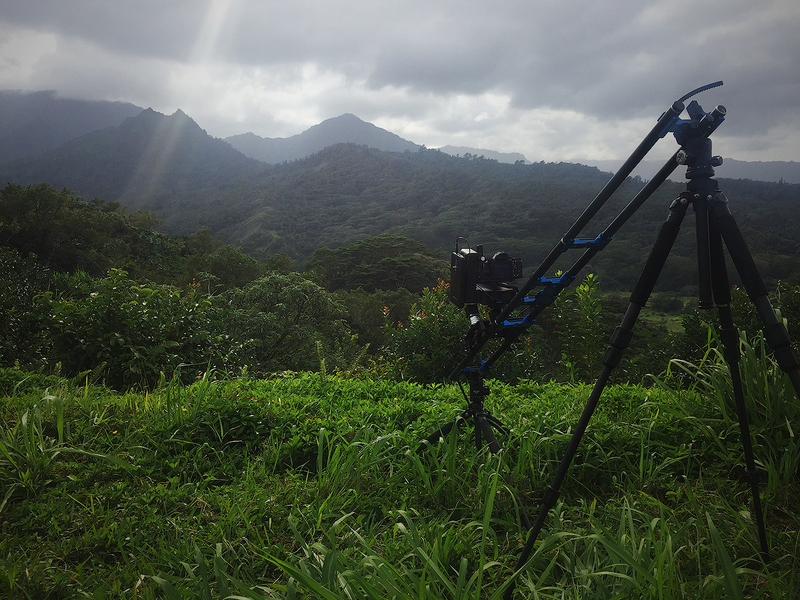 The scene above was taken near Hanalei. The light rays were something out of a fairy tale. I managed to catch two timelapses at this spot, before the light rays faded and the whole scene was covered in shadow. Not far from Princeville was a beautiful road leading to the view above. The lush foliage and beautiful lighting made for a really nice scene. I had to run this shot twice due to technical issues. But it ended up being a good thing as the light got better for the 2nd run. Thanks to Andrew Studer for taking this behind the scenes photo of me setting up. I know it probably did not look like it in the footage. But this shot was surprisingly annoying to set up. 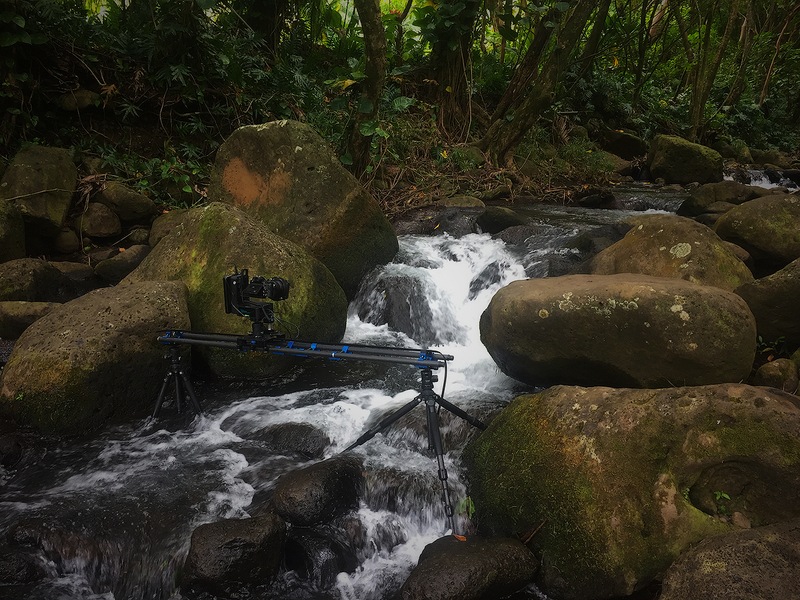 Huge shout out to my friend Andrew Studer for helping me get the slider in position for this shot. Here are three more behind the scenes images taken with my cellphone. 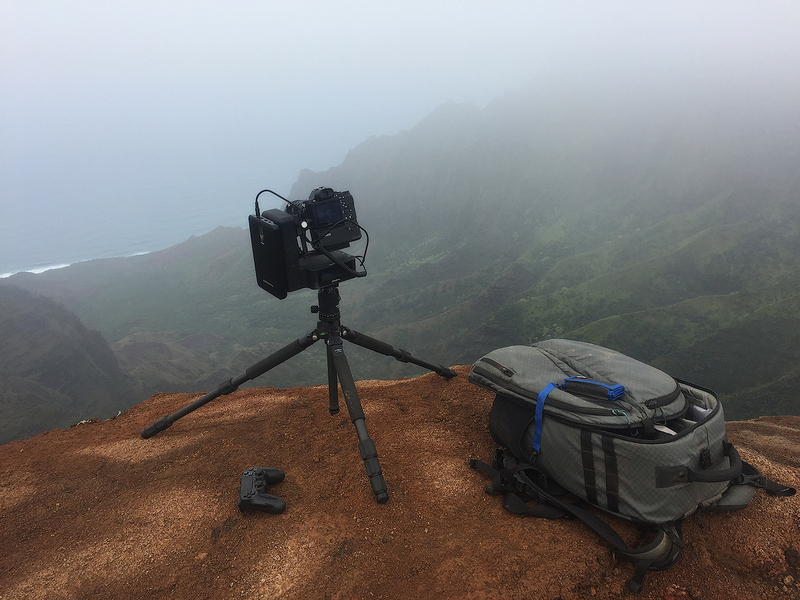 The first image was taken above the Pu’u O Kila Lookout during a foggy day. 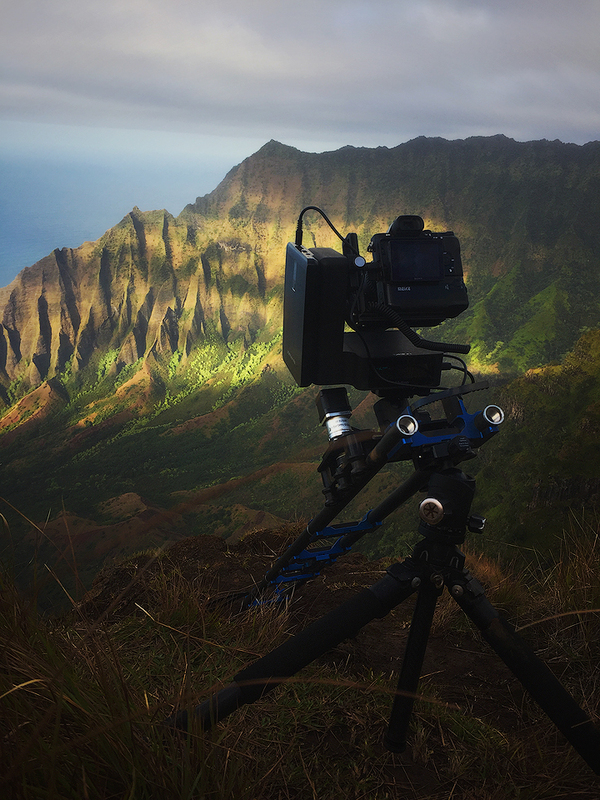 I was using the Emotimo Spectrum to pan the camera revealing the ridge to the right. 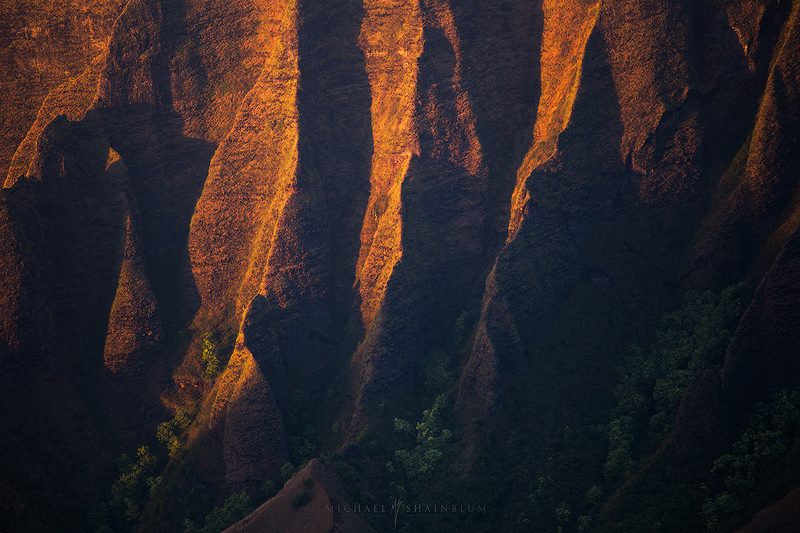 This bottom left image was taken at the Waimea Canyon, which was one of my favorite places to shoot on Kauai. This set up shows the opening shot in the film. 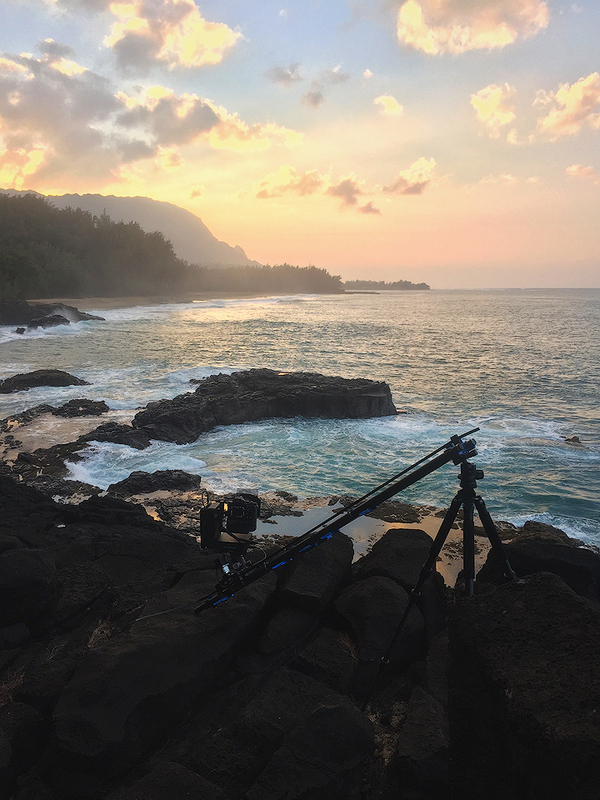 The image to the right was taken during a really beautiful sunset over Lumahai Beach. I really love shooting and creating timelapse films. There is something magical about capturing motion that is impossible to see with the eye. Choosing a section of time to showcase and picking the duration to give different effects. This video was definitely a little different for me then my usual timelapses. The experience was amazing and getting to know this beautiful island was an absolute pleasure. I really hope you enjoyed the video, thanks for watching! The imagery is beautiful and I can’t believe how much effort you put into every scene. Hauling all that gear, walking back at night, the time spent processing,……Amazing. Thank you so much Ralph, your kind words mean a lot. It was a super fun project to create. I hope we can catch up sometime, it would be great to go shoot! 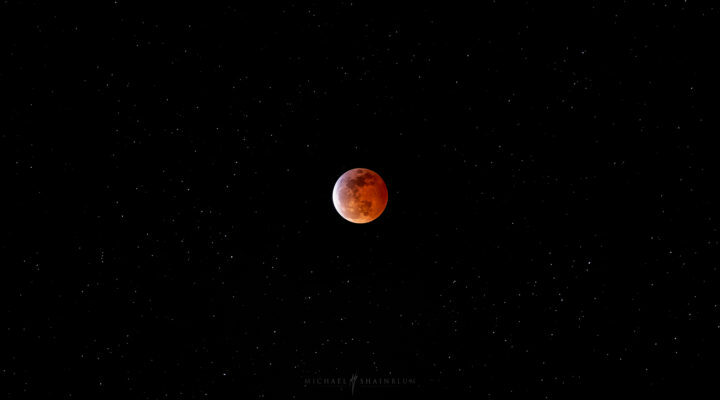 Worth effort Michael Shainblum, congrats. I saw the final product on Vimeo and loved the interplay of light and shadows. The hardwork you put in is simply commendable, hope you visit Kashmir this place is full of raw natural beauty. I really like your work but this video and story are amazing! I will call myself a “pro” once I can get a time lapse at least 90% as good as yours. OMG! Beautiful pictures. What for a camera you use ? 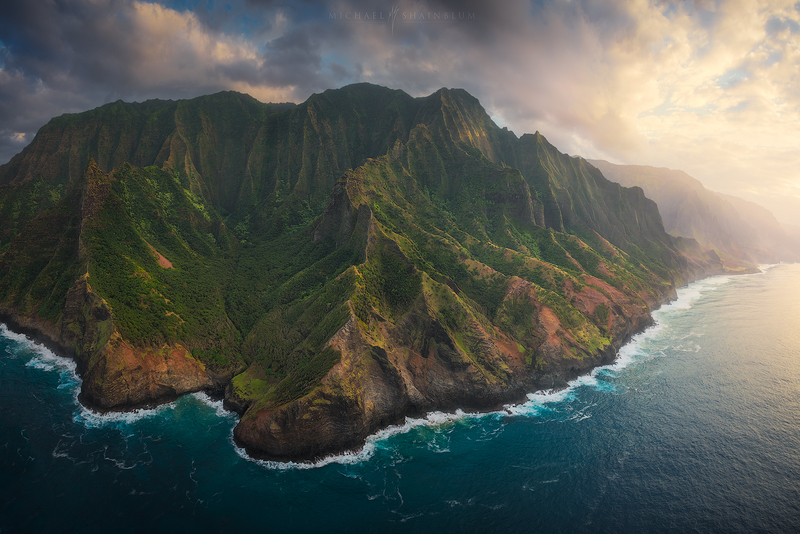 Mahalo nui loa for presenting the mesmerizing beauty of this island that I am blessed to call “home”. Amazing video. Looks so awesome! Astonishing footage! I am dying to know what lens you are using. Your images and timelapses are insanely crisp. I’m shooting with a A7RII. What lens would you recommend me to buy? wow…..you are so talented. I love your work. Have a amazing day!